Johnson grass self propagates through seeds and large rooting rhizomes. 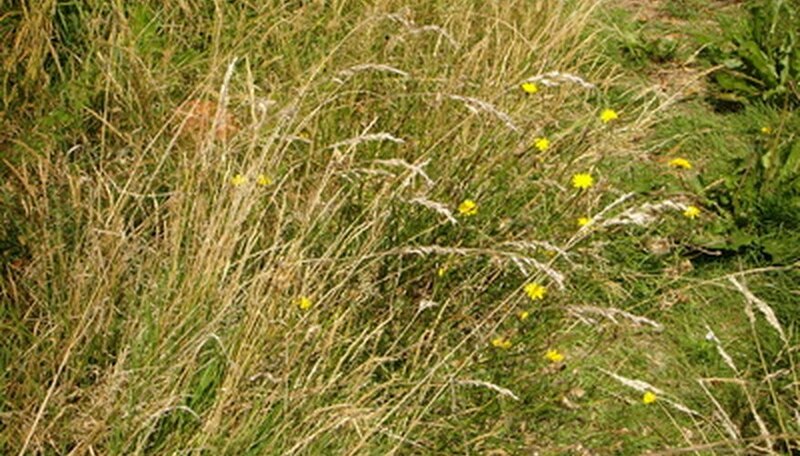 This troublesome plant will quickly spread through a hayfield when left uncontrolled. Several states have legislated requirements for control of this noxious weed. The best defense against Johnson grass infestation is to begin a control program as soon as the plant is identified. Often once the plant becomes firmly established, it becomes difficult to kill in a hayfield without damaging the main hay crop. Keep the Johnson grass plants mowed as low to the ground as possible. This will weaken the plant and keep the stalks from producing seed heads. In a large hayfield that may entail using a hand held sickle or scythe blade to keep the plants in check prior to hay harvest. Remove the tops of the plants from the field if there are any signs of seed head development. Mix the herbicide glyphosate according to label directions. Pour the herbicide into a rope wick applicator. Walk through the hayfield and wipe each blade of the Johnson grass you come across. The tip of the rope wick applicator will keep the herbicide from coming into contact with the hay field crop plants. Cultivate the rhizomes of the Johnson grass in late fall to early winter with the disc cultivator. Breaking up the plants and exposing the rhizomes to freezing temperatures will kill the root system. This may not be possible with established hay fields and should only be done when the Johnson grass has taken over the field. In cases such as these, the field will have to be re-planted for a new hay crop. Keep people and animals away from all areas treated with any chemical.